Please be mindful of the animals that share our habitat when you’re motoring through the Keys. Visitors are often not be accustomed to anything like them. 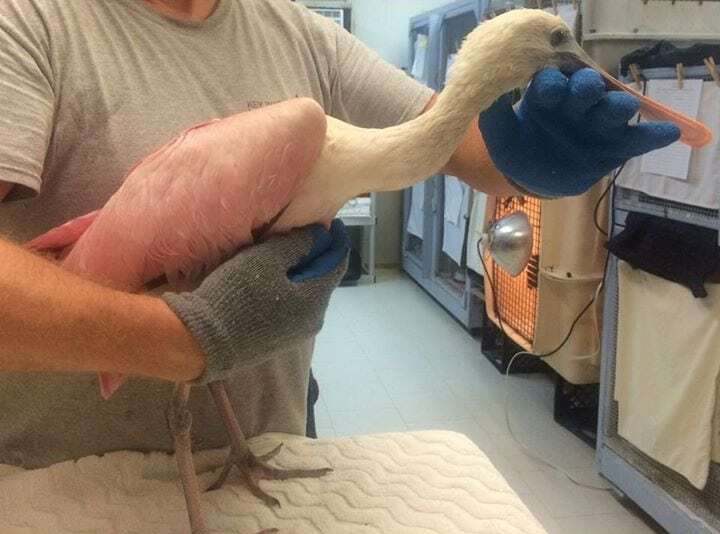 Roseate Spoonbill rescued down outside the Key West Golf Club fence suffering from impact related injuries. It has severe head trauma, body abrasions, wing, leg, and bill injuries, and possible internal damage. It has been treated and stabilized. Resting now. Updates will follow if it makes it through the night. Please slow down on the island to give wildlife a chance to get out of your way. Thanks to callers on the course for alerting us!